5 Ways to Easily Teach Kids Healthy Eating Habits! Summer has been fun, but it has also completely thrown off our schedules and eating habits. Now it’s time to get back into our regular routine so we are starting to prepare now for an easy adjustment later. Ya know, early mornings, rushing through our morning routines and getting everyone to school before the bell rings with lunch and book bags in hand. 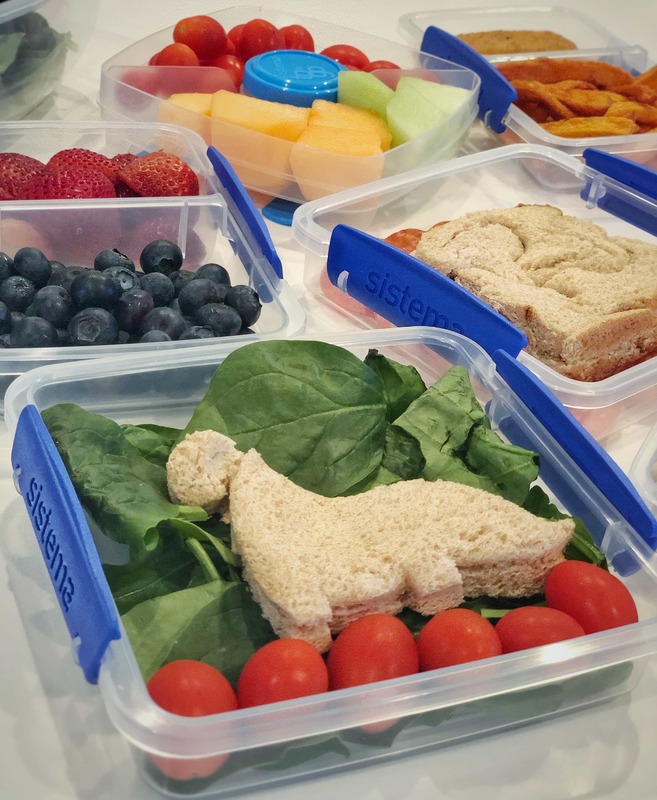 Speaking of lunch, healthy lunches for my kids is super important to me because I want them to already be used to healthy habits when they are older. I also just want to make sure they are getting all of their nutrients even when they’re not home. Plus, I can’t eat well myself and then constantly feed them things I know aren’t good for them. Unfortunately, the unpredictable and lax summer days always cause us to fall out of our healthy eating habits with more eating out, barbecues and lots of ice cream cravings. So I’m spending the few weeks before they go back to school slowly readjusting all of our diets. If you make it fun for them, it’s actually pretty easy! Let the kids help you prepare their healthy meals instead of waiting for them to go to bed. Kids love helping in the kitchen, so it’s a good time to bond, have fun together and make sure you are packing meals they are going to enjoy eating. 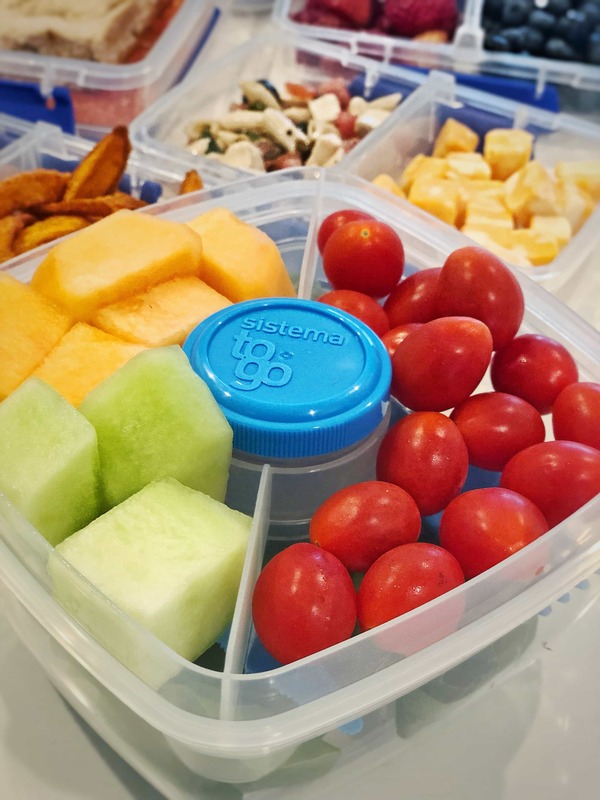 We like to use the Sistema® To Go containers because they make it easy to organize and pack lunches, especially for the kids. Let them choose from several healthy options. Kids also love making decisions and feeling like things are in their control, so it’s an easy way to teach kids healthy eating habits. If you just decide for them and tell them they have to have broccoli, they may just throw it away because it’s not what they wanted… and you can’t see. However, if you let them choose between broccoli, carrots or celery- they’ll be more inclined to eat it because it was their decision. Make the meals healthy but fun. 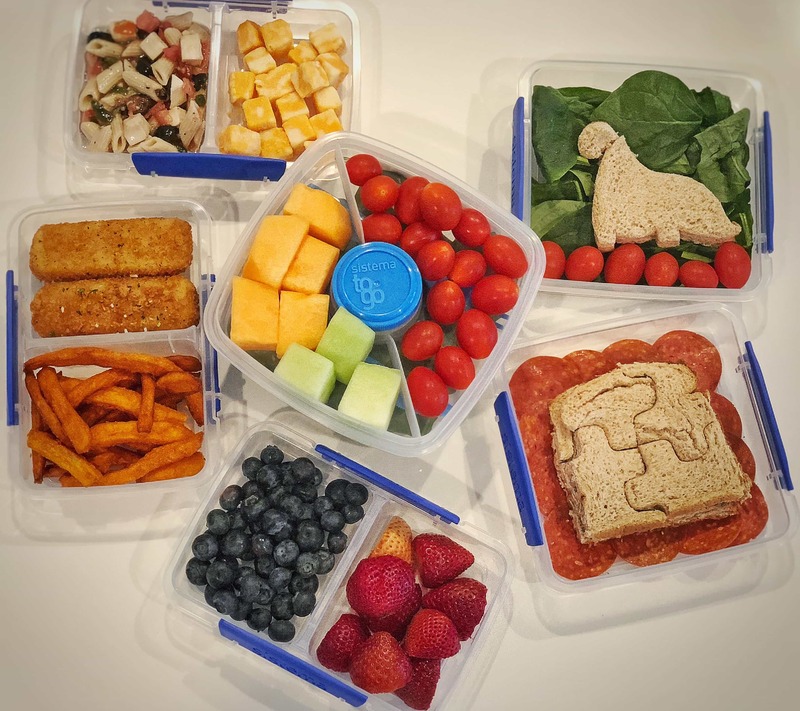 You can do this by simply packing colorful and good looking lunch boxes or by taking it a step further and letting them make designs with their foods. The Sistema® To Go Collection looks good and makes it easy to make a lunch box look fun and appealing. Remember, when you meal prep as an activity with your kids you don’t have to rush the way you would if you do it before your own bed time or alone time (yet you still get more alone time later in the evening – win/win). Keep a copy of the food pyramid on the counter while making lunches. They will have fun picking their favorite foods from each level and will also feel like they are accomplishing something. It also teaches them healthy habits while they’re young. Even if you follow different guidelines like keto or grain free, you can draw your own or just print one out. 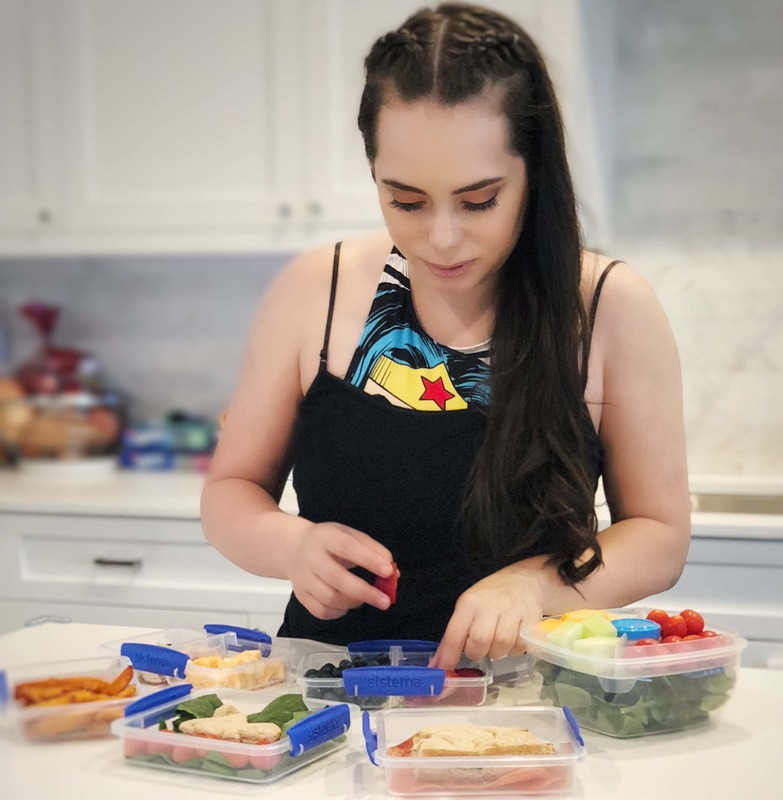 The goal is just to turn meal prep in to both a fun activity and learning experience for them. 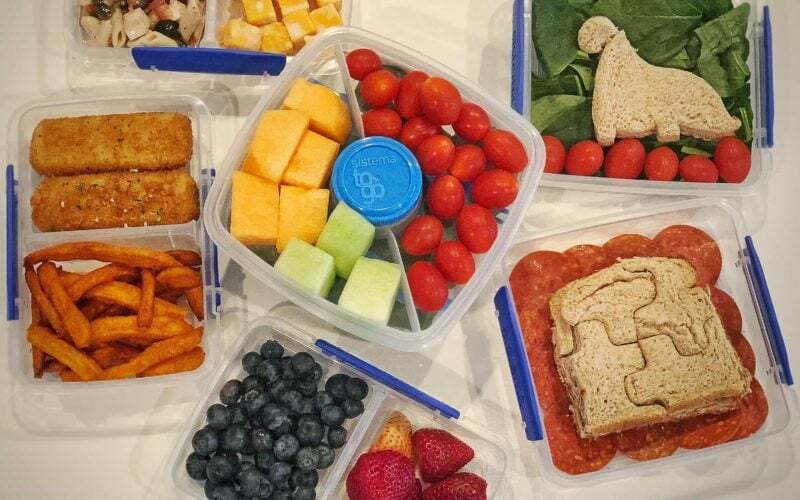 A few weeks before school begins, let them eat their packed lunches and snacks at home so both you and them start to get in the habit of preparing and eating healthy lunches. Then by the time school starts you will all be adjusted. It’s also just easier to stick to healthy eating when you prep in advance vs winging it day by day. If you wait to start this routine the night before school begins, it will be chaotic since it will be new to everyone. And that, my friends, is how you can teach your kids healthy eating habits and ease them back in to it before they go back to school!